Embrace your ‘inner James Bond’ and take a speedboat from the airport. What do you think of Venice? Very few people dislike it – despite the enormous cruise boats and hoards of day trippers clogging up the streets and canals. It is still a wondrous place that fills you with excitement from the moment you step into a water Taxi at the airport until the minute you leave. Venice airport is on the mainland and Venice is an island. You need to get a boat across! Tip: Unless the hotel is offering a free speedboat, just hop aboard one dockside and it will only be 100 euros. Turn left out of the airport, make sure you have a porter it is quite a trek, and head to the most handsome Water Taxi owner that you can find. Don’t even think about a Waterbus, unless you want to be squashed and uncomfortable with tourists (we are travellers NOT tourists!) and stop a hundred times en route. If there are four of you, the price of a Water taxi is very reasonable. 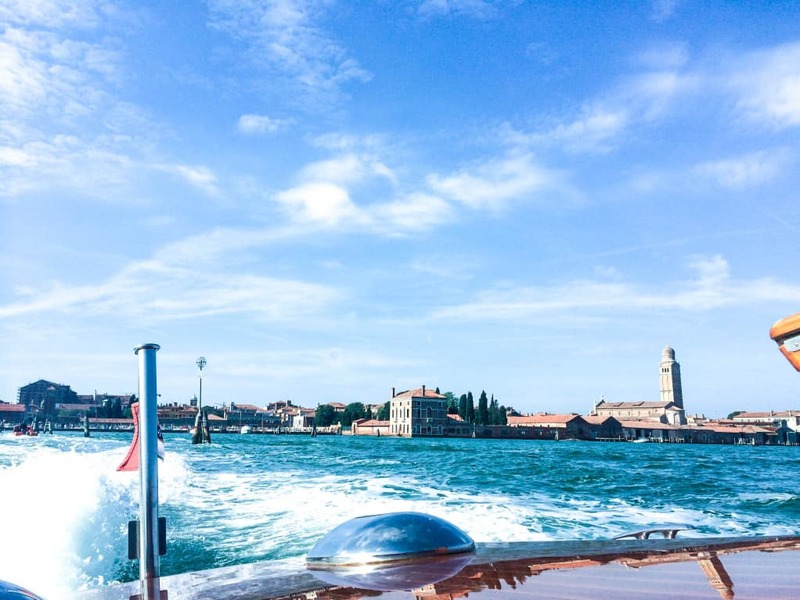 Venice is all about the canals and the best way to see Venice and take the best photos is on the water. A water taxi makes the experience so special, SPLURGE if you can! Safely delivered to the Hotel. The other important consideration is where to stay in Venice. 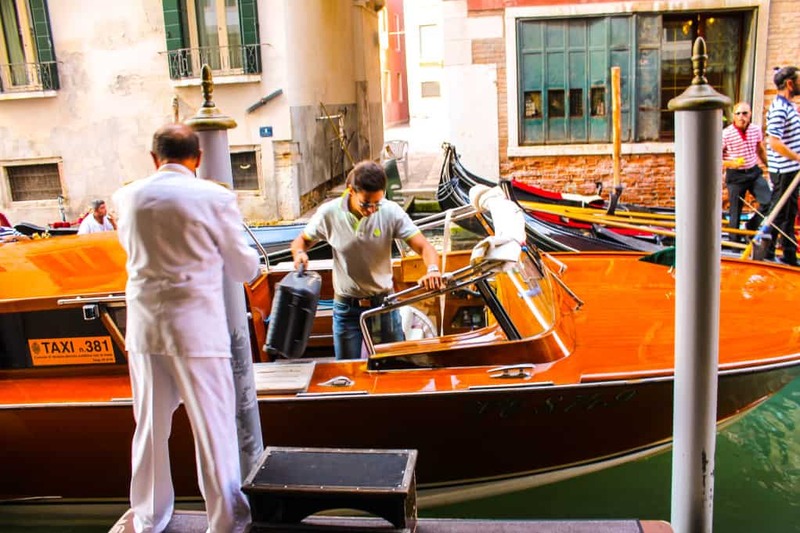 There are some very beautiful hotels to choose in Venice. Chosen for its unbeatable location. I don’t know about you, but I want to be in the heart of Venice and not on some island over yonder! This is the perfect choice literally a stones throw from Piazza San Marco square but step through the hotel doors and you enter an oasis of calm and tranquility that seems far from the crowded square. Step out of the door and you have Gondola’s waiting to transport you if you turn left and glorious shops followed by Piazza San Marco on the right. Louis Vuitton is literally just outside the hotel, which is not great for my bank balance but a lovely treat. 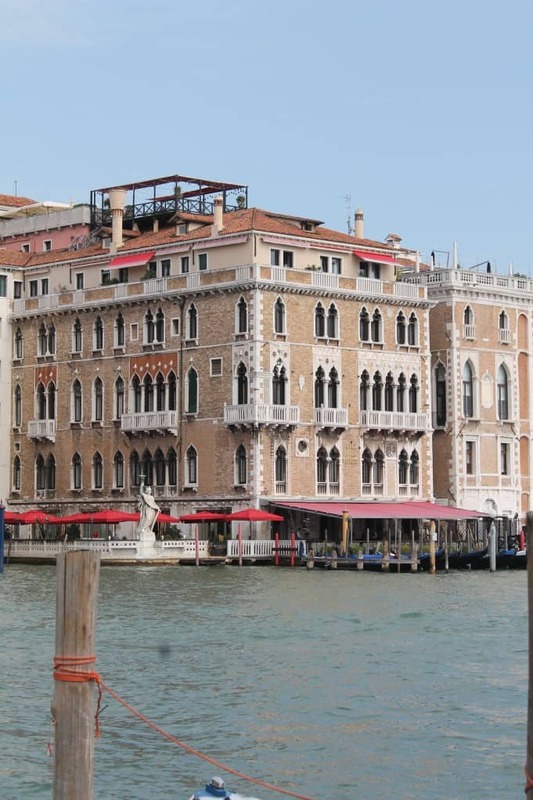 If you want to splurge The Gritti Palace http://www.thegrittipalace.com is just one block over towards San Marco and Harry’s Bar is just around the corner. Who could ask for more from the Hotel Bauer? To be honest, I would like to be let loose with an interior designer – but the old world charm, excellent staff and wonderful restaurant are enough to bring me back for another visit. I might choose to rent a gorgeous Venetian Palazzo next trip, or rather an apartment in a Palazzo! There are some great choices on Airbnb or check out Booking.com, link on the right hand side of this page. 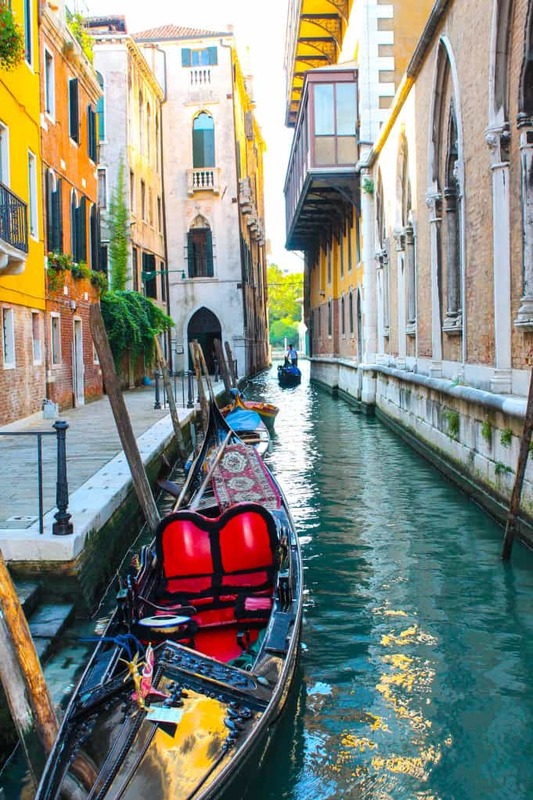 It is easy to escape into the ‘true’ Venice, just keep away from the typical tourist itinerary and one street over will be an oasis of calm, just as the photo above which was taken in crowded September. One of my favourite routes is to leave the Bauer, turn left and cross the canal take a right and then left – you are now away from the crowds! Keep going and meander along marvelling at the hidden delights in the tiny little shops. You are now in culture lovers heaven, there will be a church, Museum or gallery at every turn. Once I arrive at Palazzo Cavalli Franchetti, there will probably be an exhibition that is too good to pass by, but then cross the bridge. Galleria del Academia is right there to explore, afterward turn left and keep going and you are now in a completely different Venice. Quiet little canals with sleepy houses and delicious little restaurants to try out. I love to stop off at Collezione Peggy Guggenheim, an amazing collector. Revived after a cup of tea at the Guggenheim Cafe continue on to Punta Della Dogana and view another wonderful contemporary art collection. Choose somewhere for lunch and congratulate yourself on a fabulous morning! Retrace your steps or hop on a Gondola back across to the Bauer for a little nap. 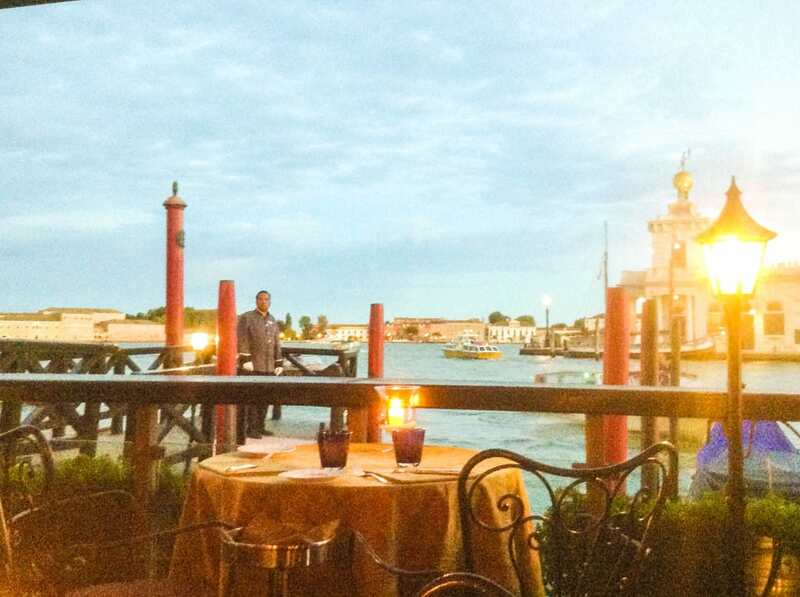 Dinner on the terrace of the Bauer is a highlight, the view unsurpassable and constantly entertaining with guests alighting onto water taxis resplendent in their evening wear and all the canal boats toodling along. Many of the day trippers from the cruise ships go back aboard late afternoon. Venice is magical at night and usually less crowded as long as you stay away from St Marks Square. Another must-do another night is to book tickets for the Opera, put on your glad rags and take a water taxi to the Opera. You will have another James Bond moment, for sure! Check out Teatro la Fenice, Teatro Maliban, Palazzo Barbarigo Minotto. 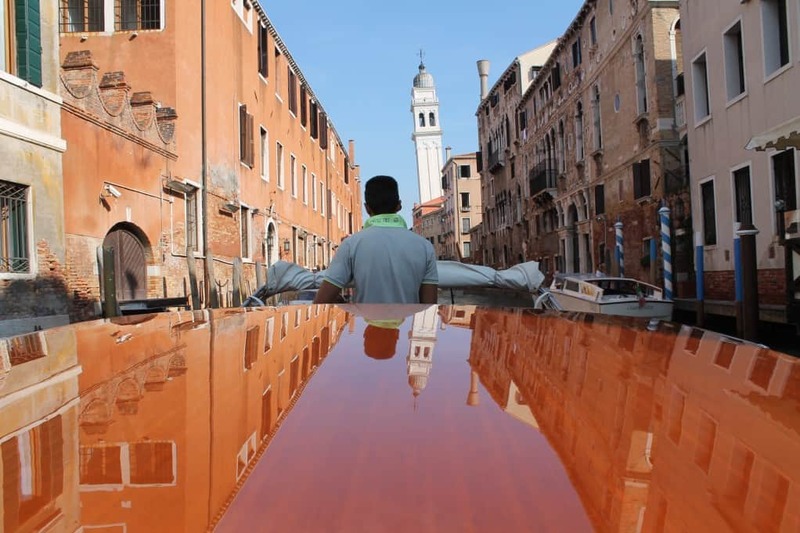 May 11 to November 24 2019 – 58th Venice biennale, great time to visit to enjoy the Biennial events in Venice with everything from Exhibitions, Sculptures, Art and cultural activities everywhere in Venice. 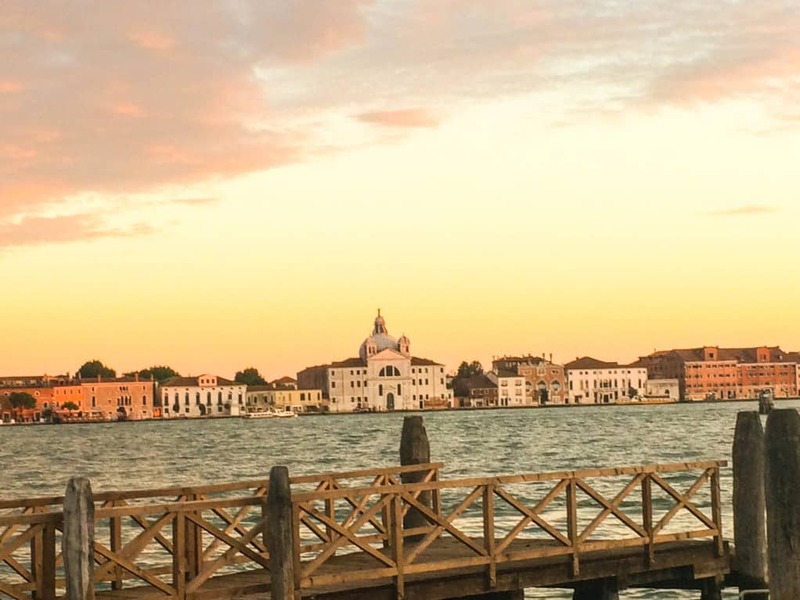 April 25 2019 – Festa di San Marco. Yes, I know i said stay away from San Marco, but this will be fun! When to Visit: Try and avoid the busy tourist months of July and August if you can possibly. Venice is much less crowded early Spring and late Autumn, before the cruise ships invade. 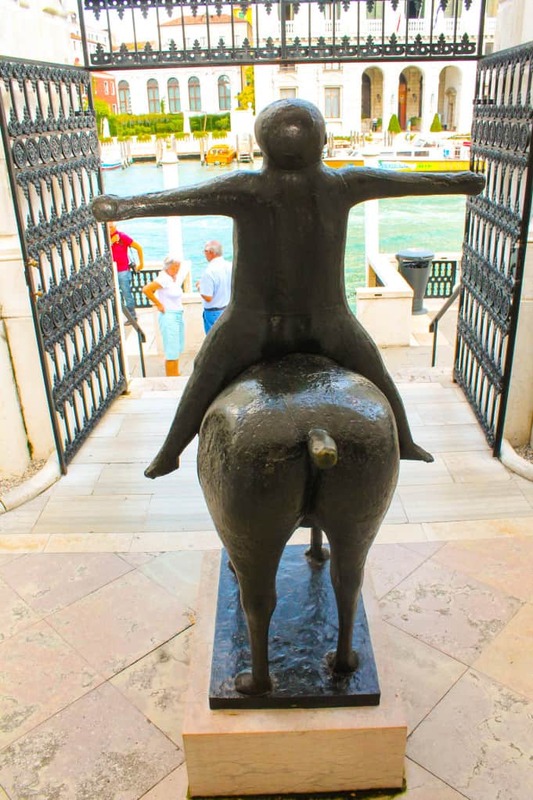 bauer hotel review, guggenheim Museum, luxury hotels, luxury travel blog, museums, the real Venice, venice, Venice Carnival 2020, water taxis, Whats on Venice 2019, where to stay in Venice?